The odyssey of the Rev. Vladimir Shishkoff and the parishioners of St. Nicholas Russian Orthodox Autonomous Church ended one day in December 2001 when they turned a Stapleton basement into a warm and thriving church. The long tale of what led them there in the first place encompasses catacombs and communism, politics and persecution, and perhaps most of all, faith. 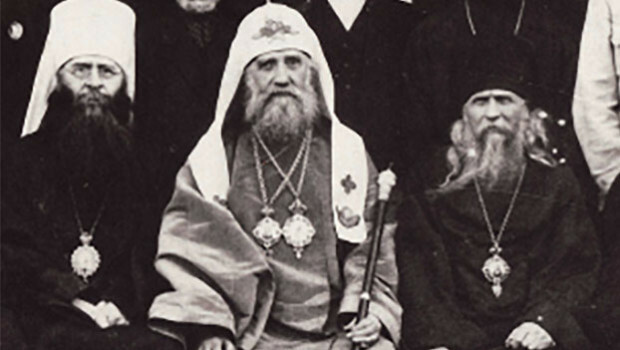 The Russian Orthodox Church was driven underground or outside of Russia following the Communist-Bolshevik revolution of 1917. According to Father Shishkoff and his assistant, the Rev. Andrew Maklakov, communist leaders attempted to wipe out religion by slaughtering priests and bishops, blowing up churches and establishing a state-run church teeming with secret government agents. “It’s akin to the Mafia taking control of America,” said Father Maklakov, a 51-year-old American-born priest. With the collapse of the Soviet Union in 1991, the Russian Orthodox Church that had survived outside of the country made its long-awaited voyage home, hoping to replace the communist-installed church with what it viewed to be the legitimate church of Russia. What happened instead, to the horror of a narrow swath of the Orthodox Church, was a sort of merging of the two. “The church I belonged to from my birth decided to unite with the patriarchal church in Russia,” said Father Shishkoff, 77, a tall and lean figure with a long white goatee. The Yugoslavian-born priest with Russian roots derided the union as a betrayal of both history and faith. “Millions of people died not accepting what these people voluntarily accepted,” said Father Shishkoff, who lives in Elmwood Park, N.J. 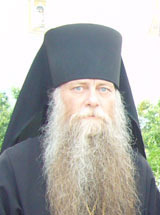 The Russian Orthodox Autonomous Church was formed in 1998, in opposition to the merger, under the leadership of Metropolitan Valentine in the small Russian town of Suzdal. The first autonomous church inside the United States was founded in Virginia in 2001. Later that year, Father Shishkoff left his church of 31 years — Our Lady of Kazan Orthodox Church in Newark, N.J. — to form St. Nicholas. At the time, the Russian Orthodox Autonomous Church was still facing resistance from back home. 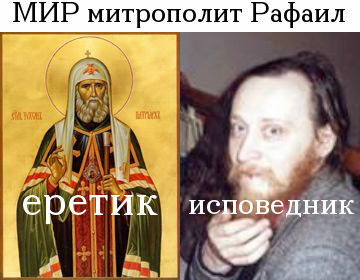 “That’s why we’re losing our churches and have to serve in basements again,” said Father Maklakov. But the dozen or so parishioners who come to the unmarked house on Harrison Street every Sunday, who walk down the narrow stairs and walkway into the small but cozy church, don’t view it as a basement. They view it as a spiritual home. This past Sunday, seven women wearing hats or head scarves and a man with neatly combed gray hair stood amid the icons and paintings that cover the white walls, lit candles in veneration of certain saints, and listened for two hours to the service conducted by the priests. The service was conducted in Old Slavonic, an ancient Russian language that Father Shishkoff likens to Shakespearean English. The service ranged from the chant-like reading of biblical passages to an almost operatic exchange of phrases sung between Father Shishkoff and two women in the back of the room who sang in harmony. The priests wore long elegant robes, and chains with large silver crosses hung from their necks. They spent most of their time behind the icon-filled Iconostasis — a door-filled wooden wall that separates the body of the church from the altar — with their bodies facing east. The parishioners crossed themselves often, made deep bows, and stood erect over the blue carpet throughout a majority of the service. Twice Father Maklakov filled the room with incense as he walked around – the swirling movement of the smoke serving as a metaphor for the path the parishioners’ prayers would take. After the service, talk centered on the sudden and unexpected continuation of the church’s odyssey. The man whose basement the church occupies — and the grandson of a priest who operated St. Nicholas Russian Eastern Orthodox Church from 1956 to 1971 in the same basement — has sold the house, and the new owner wants the church out. Tomorrow’s service will be the last Father Shishkoff leads on Harrison Street. Despite a lack of prospects for a new location –especially one that would let them maintain their rent-free existence — church parishioners took the news of their homelessness in stride. Once again, the Russian church is on the move. gonen@siadvance.com. Copyright 2004 SILive.com. All Rights Reserved.